Microsoft has indicated that native support for 1440p displays is on the way to its Xbox One consoles, shortly. 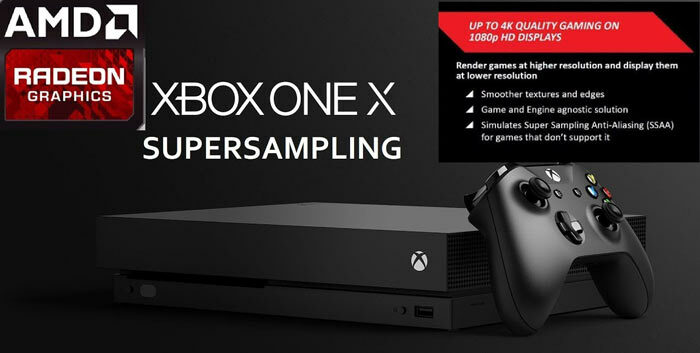 As reported by Windows Central, the Xbox One X targets 4K displays and, using supersampling tech, delivers some smooth visual upgrades on 1080p displays. However a 1440p display, rather than being 'Goldilocks', suffers from suboptimal 1080p imagery being sent down its cables. A Tweet by Microsoft's Xbox Platform Partner Group manager, Kevin Gammill, provided the core of today's news. On Friday Gammill wrote that Xbox Insiders owning Xbox One X or Xbox One S consoles would be "pleasantly surprised very soon," with regard to 1440p support. On the Xbox One S it is thought that there will be insufficient horsepower for 1440p native resolution gaming. Thus the source reckons it will be useful just for UI, video playback and similar low intensity tasks on the GPU. 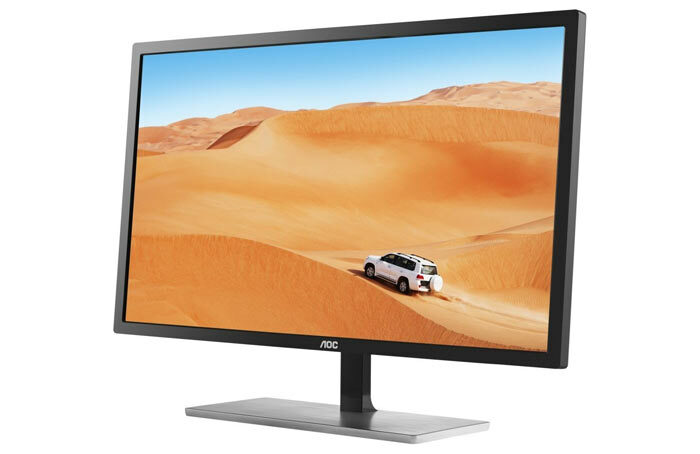 HEXUS recently reviewed the AOC Q3279VWF which is a 31.5-inch 1440p FreeSync capable MVA monitor for under £200. It won a HEXUS value award, only held back by its inflexible mounting options and middling brightness and colour accuracy. In another Twitter sourced Xbox news morsel, the Corporate Vice President of Gaming at Microsoft, Mike Ybarra, was complaining about cheaters in PUBG this weekend. Apparently he had suffered head-shot twice while speeding in a jeep and the perpetrator wasn't even aiming at the vehicle properly. Another Twitterer used this opportunity to bring up the unfairness of some Xbox users playing with the aid of a mouse / keyboard combi. 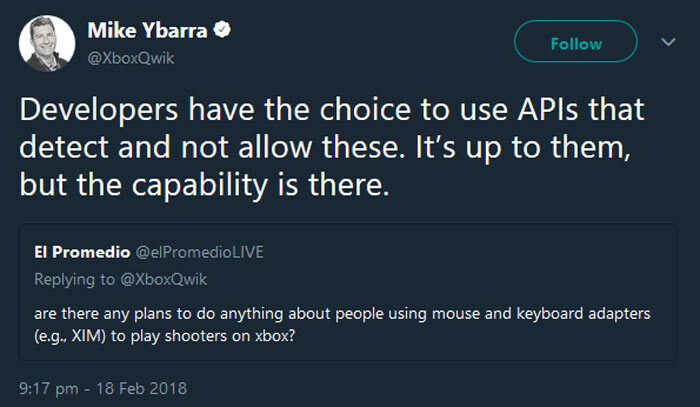 In response Ybarra said that "Developers have the choice to use APIs that detect and not allow these [mouse/keyboard adapters]. It’s up to them, but the capability is there." He went on to confirm that developers can detect and filter players depending upon input devices so they appear in different lobbies, for example, if they wish. One of the major reasons Microsoft is open to various input methods and controller choices on Xbox is for accessibility. X is looking tempting with native 1440p (I game on a 1440p monitor). They're calling the new ones S and X?